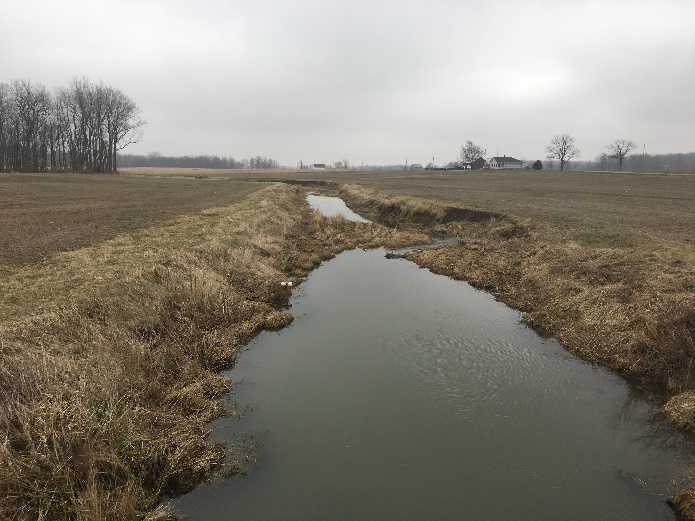 Research measuring nutrient losses from surface and subsurface drainage in Ohio indicates that not all fields contribute equally to various water quality issues. Fields with higher than average potential losses have some characteristics observed during everyday field activities or when working with agronomic records. Average 2 inch soil temperatures and accumulated Growing Degrees Days (GDD) from select OARDC Weather Station locations are shown. Based on current accumulated GDD (Table 1) we would expect corn April 12 planting prior to April 30 to be emerged or emerging soon. An easy to use test can be done to predict potential soil crusting on farm fields. All you need is some chicken wire, water, a glass jar, and a dry clump of soil. When you immerse the clump of soil in the jar of water, the longer it holds together, the better the soil structure to resist crusting. Spring Warm-Up: How does 2018 Soil Temperature Compare? The calendar says it’s time for spring field activity in Ohio and farmers are eager to prep fields and plant this year’s crops. However, average temperatures across Ohio have remained cooler than usual with the previous 30-day period (March 16 - April 15, 2018) running 2 to 6 degrees Fahrenheit below normal (based on 1981-2010). Combined with precipitation up to twice the normal amount in some areas, the weather is certainly not cooperating with ideas of an early jump on planting. During our recent survey of CORN Newsletter users, one item suggested for addition was a chart of soil temperatures in the spring. 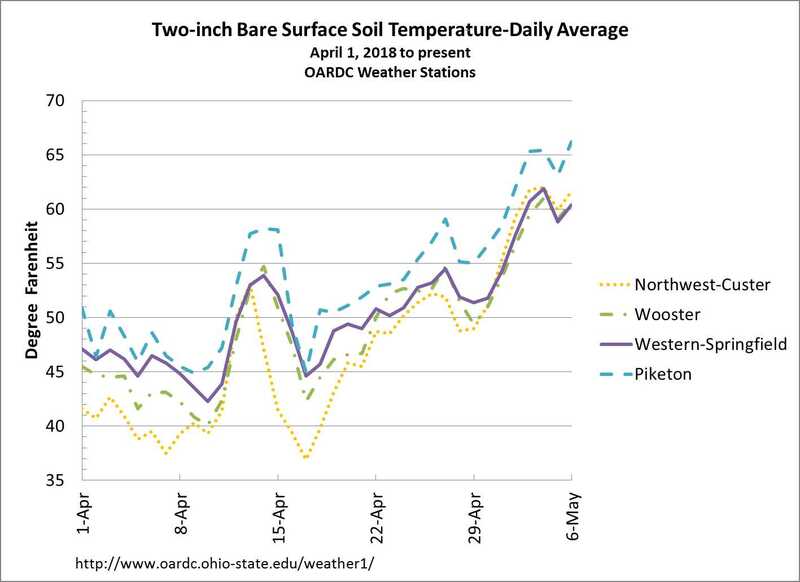 The Ohio Agricultural Research and Development Center (OARDC) Agricultural Research Station located throughout the state have 2 and 4 inch bare surface soil temperatures monitored on an hourly basis. The chart provided here summarizes the average daily two inch bare soil temperature from several stations.